Professional Quality and many years of experience! 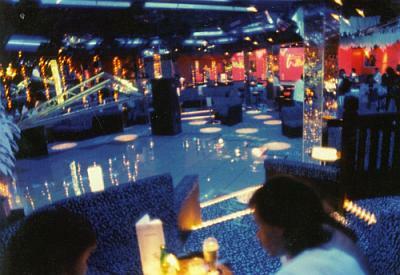 A newly concipated, extra-thin [Less than 1" (2cms) with frame], heavy-duty dancefloor with longlife LEDs. Ideal for sound to light use. Life expectancy of bulbs typically in excess of 100.000 hours (mtbf). Just perfect for stores, exhibitions and show dancing etc. One square meter can carry 4 tons. Connects conveniently to Aadvision "Trafo Light Controller". Size per module 60 x 60 x 2 cm, 3 fields equal about 1 square yard. Minimum order 16 fields. 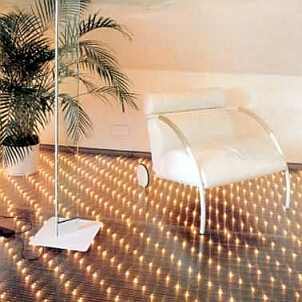 Starlight glass floor also available with rounded corners at extra cost. 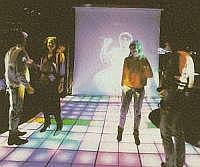 one dances, this dance floor adds life to your disco and convinces your guests to stay! Only 20 mm mounting height! Installed in 1-2 days! is very economic. Typically, the long-life bulbs will last more than 50'000 hours. 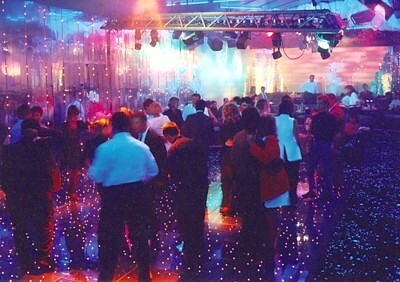 Custom-made dance floors, individual shapes and sizes are at your choice! shows, events, boutiques, television, film, sports events, entertainment, party, event, wedding, etc. Holds up to 1.5 tons per square meter. 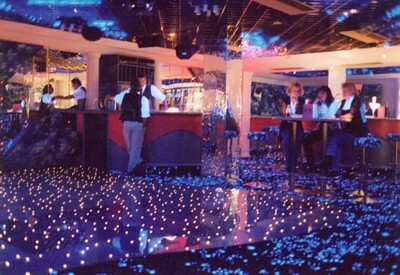 The Stiers Rainlight Illuminated Glass Flooring on the Swimmingpool-Deck on board the Cruise Liner "Queen Elisabeth II". has been in use for many years with no servicing. Worldwide, these floors are in use in several hundred projects . 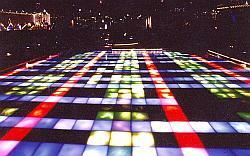 Rainlight Glass Floors: available in white, red, blue, green, gold or multi-colour. The mounting surface must be endurable, stable and perfectly even. high audience traffic, we strongly recommend having a local company seal the floor. of four fields with 30x30 cm each. Mounting height 15 cm. Installation and connection by our technical personnel guarantees years of trouble-free permanent service. Please send architect's specifications for optimum realization. 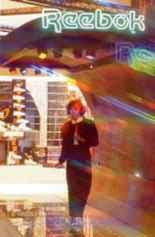 STIERS Rainbow illuminated glass floors are used worldwide e.g. in Austria, Argentina, Brazil, Canada, Chile, Cypres, Djibouti, Egypt, England, Hungary, Greece, Germany, Nigeria, Poland, Russia, Romania, Seychels, Spain, Switzerland, Turkey, Venezuela with great success. 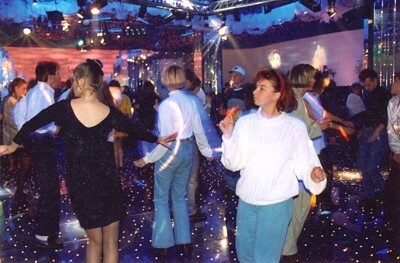 Reference: Model 2005 EM Club Ramstein Airforce Base, Glamour Disco Freiburg. only limited by your imagination. A Bee Card will allow you to store your programs for future recalls. 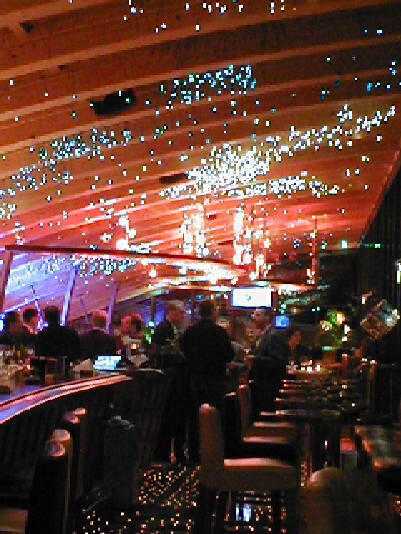 All functions are monitored by electronic display. All 3 colour sections can be smoothly varied in brightness. Safety lock prevents unauthorized access. Rainbow Wall is a magnificent eye-catcher for stores, shop windows, theatres, dance-halls and TV-shows. Many thousand patterns and color combinations possible. 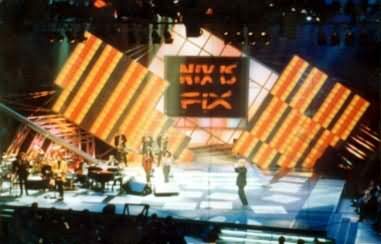 As an example, the stage design for Austrian star singer Reinhard Fendrich using STIERS Rainbow Wall. Controller to be ordered seperately. 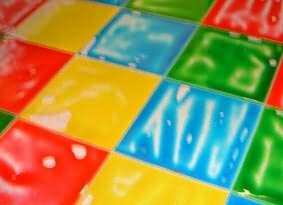 Liquid floor covering. Ideal for shopwindows, exhibitions and displays. 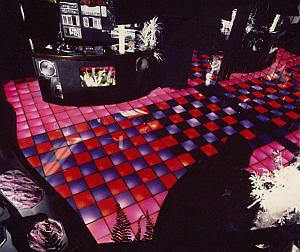 Illuminated Liquid floor for use with audience. Ideal for TV game shows, shop windows, exhibitions and displays. 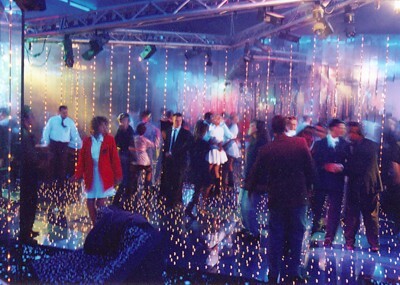 Liquid floor for use with audience. Minimumorder 20 sqm. = app. 60 segments. 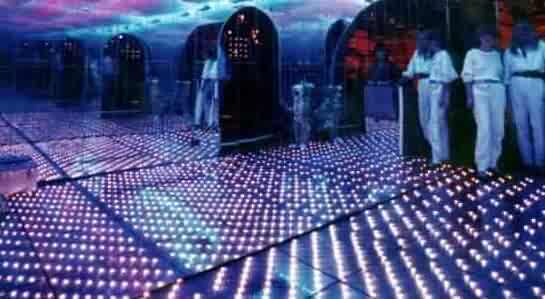 Illuminated liquid floors with lighting are delivered with sturdy covering. Ideal for use in stores, museums and as a dancefloor.